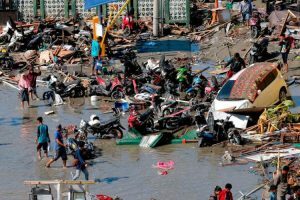 BGR International will be working with local partners on the Indonesian island of Sulawesi in response to a devastating 28 September earthquake and subsequent tsunami. The town of Palu and its 350,000 residences continue to search through the rubble for missing people. The death toll is currently above 1,400 and more than 66,000 homes have been destroyed. The initial response will focus on providing food, water, and other immediate needs, including transitional shelter. Your gifts make this response possible.